Our ball caps are Chino cotton with pre-formed bill, and adjustable brass buckle slide closure (best fit sizes 6 7/8 to 7 1/2). Wings are direct embroidered on comfortable low-profile, unstructured ball caps. 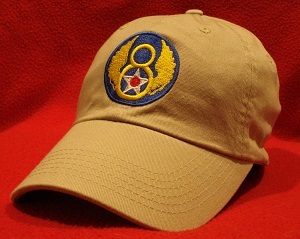 Standard length bill (2 7/8" on center). 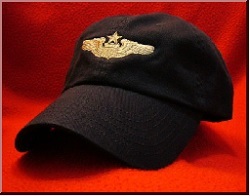 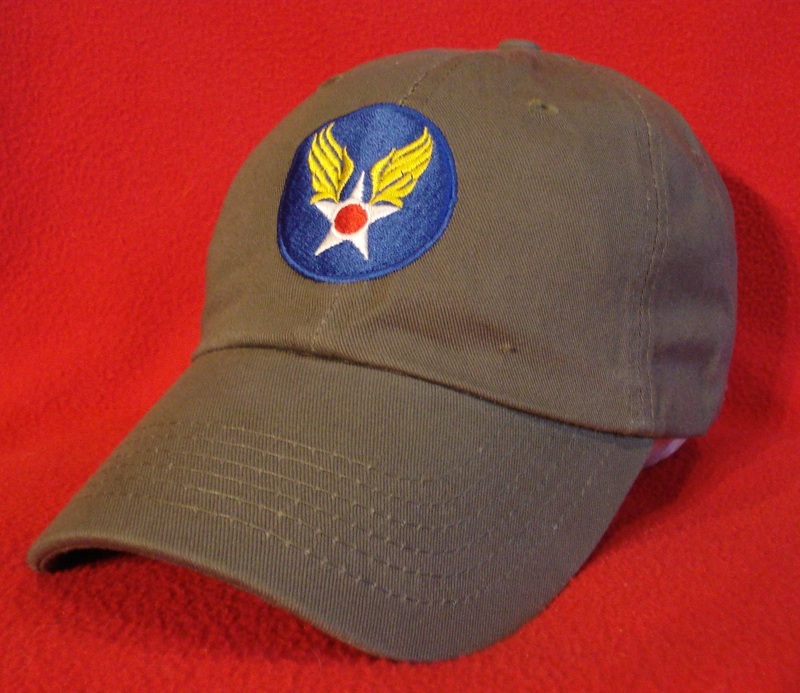 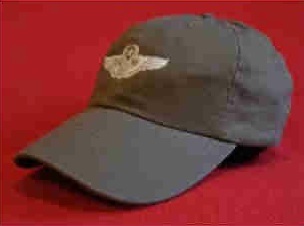 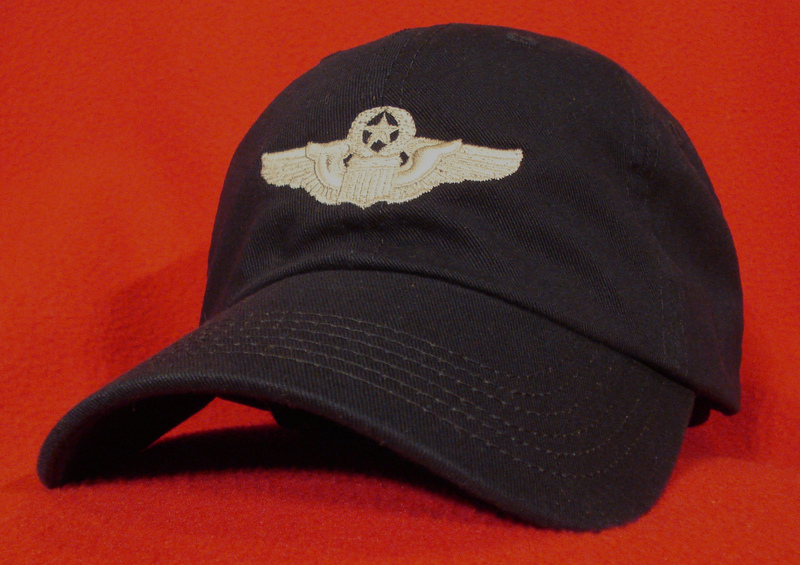 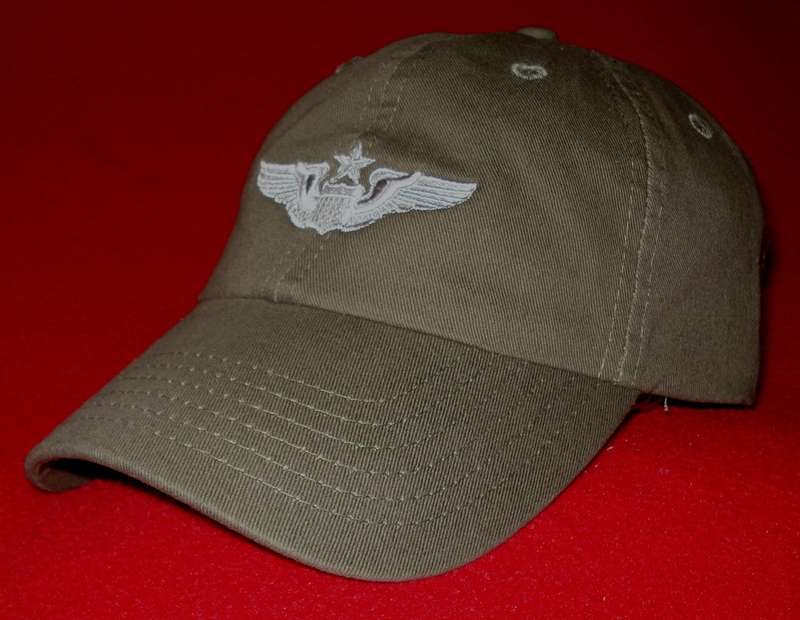 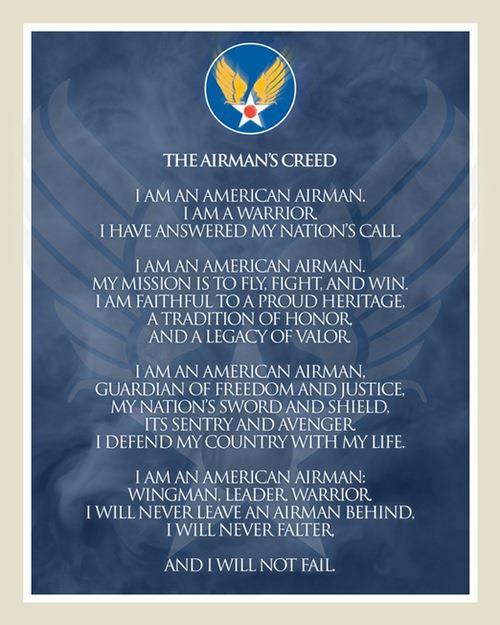 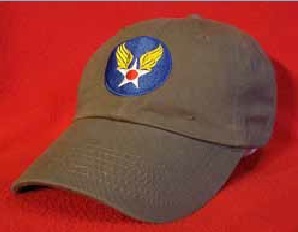 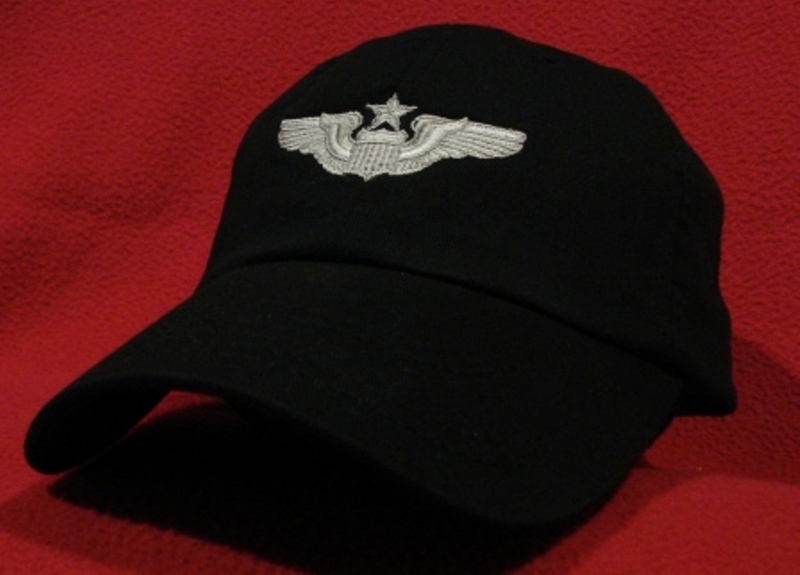 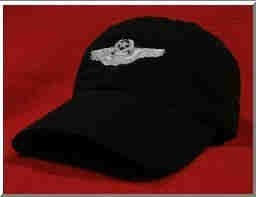 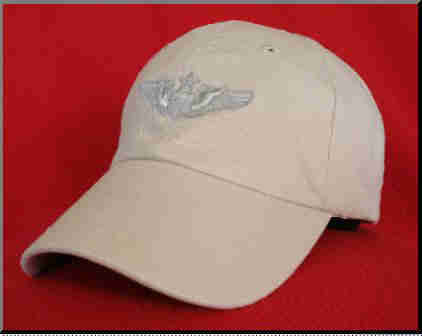 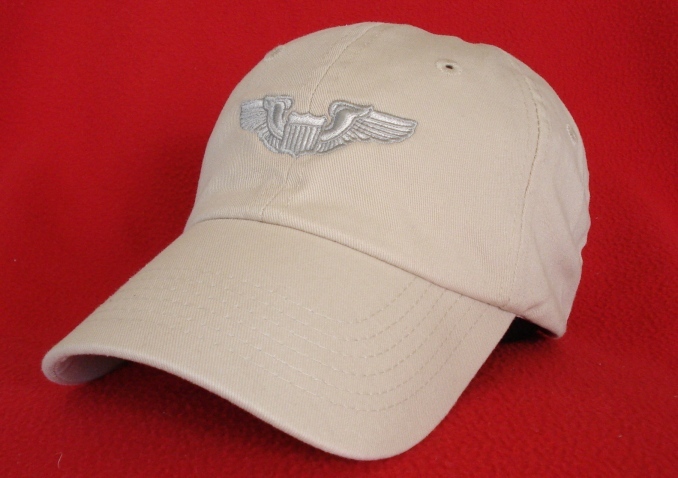 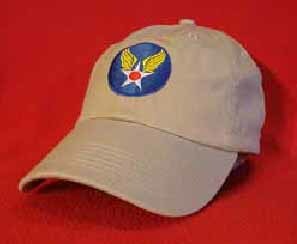 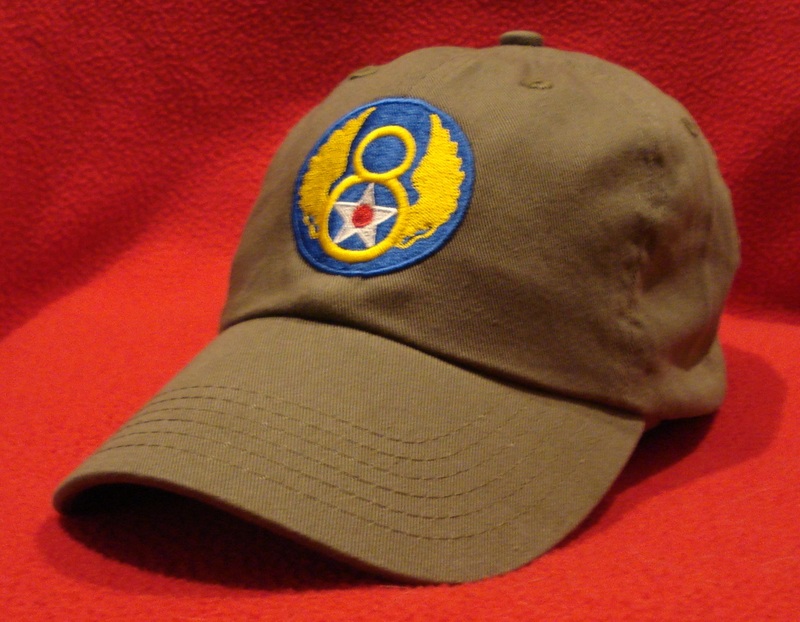 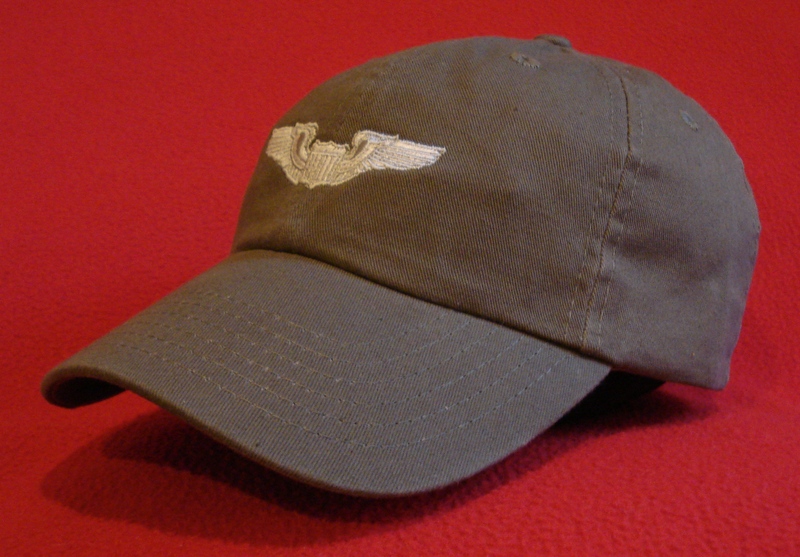 USAF Pilot Wings caps are 100% Chino cotton with pre-formed bill, and adjustable brass buckle slide closure (best fit sizes 6 7/8 to 7 1/2). 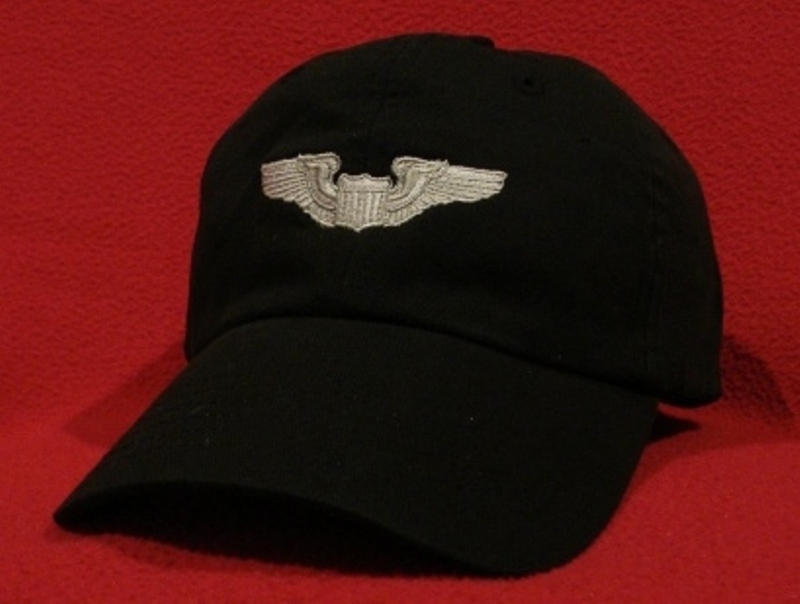 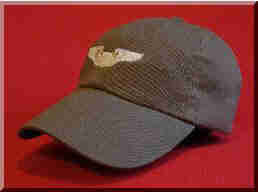 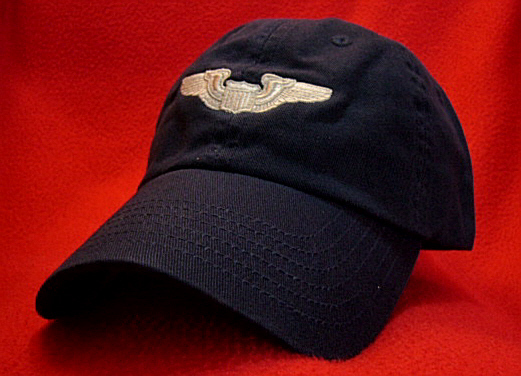 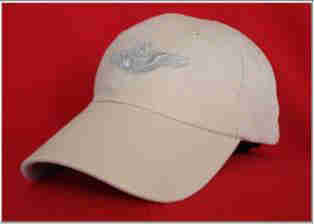 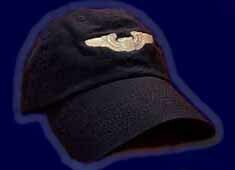 Wings are direct-embroidered on comfortable low-profile, unstructured ball caps. Standard length bill (2 7/8" on center).